Meth at the University: who uses it and why? With the newfound freedom that many students gain during their time at college, the experimentation with alcohol and drugs is widespread. While alcohol is the widest controlled substance used on collegiate campuses, stimulants are the class of drugs that are most extensively used among college students. Methamphetamine, an illegal drug similar to amphetamine, is an extremely addictive stimulant that is finding its way into the hands of many college students today. What was the original use of this drug and where does it come from? Methamphetamine is a central nervous system stimulant drug that can be prescribed by a doctor to treat attention deficit hyperactivity disorder and other conditions. However, since this substance is classified as a Schedule II drug due to its high potential for abuse, it is typically prescribed in very low doses and is available only through a prescription that cannot be refilled. The majority of methamphetamine that is abused across the country and by college students is synthesized in domestic and foreign superlabs. The production of methamphetamine typically involves a number of other hazardous chemicals, including antifreeze, drain cleaner, and battery acid. 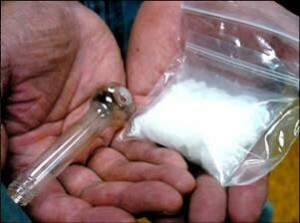 What is the appeal of Methamphetamine to college students? One of the more common forms of methamphetamine is crystal meth, also known as “Blade”, “Crystal Glass”, “Hot Ice”, or “Quartz”. Typically used on the club scenes and rave parties, crystal meth creates a false sense of happiness, increased alertness and focus, high energy levels, and a rush of confidence or assertiveness. Individuals who consume crystal meth or meth often become addicted to the initial rush and high that is induced with repeated use of this illicit drug and will return to the substance for a continuation of the experience. While a widespread number of people are impacted by a methamphetamine addiction, college students who are burdened with the demand of a rigorous schedule might succumb to the appeal of this drug. Additionally, students may use methamphetamine recreationally to induce exhilaration and euphoria, commonly during a rave or in a club. The accessibility and lower cost of meth in comparison to other drugs also makes it appealing and a popular drug of choice among college students. Methamphetamine is commonly ingested by swallowing whole or chewed pills, crushing and snorting the drug nasally, smoking it, or putting it into a solution and injecting. The dangers associated with methamphetamine abuse are frightening and unparalleled. According to the Drug Abuse Warning Network, almost 500,000 drug-related emergency department episodes have been recorded annually, with meth-related hospital admissions increasing by 366% during the last ten years alone. The consequences of methamphetamine use impacts a person on multiple levels, including physically, psychologically, and socially. 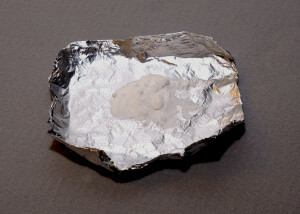 Some students may justify the use of small doses of methamphetamine, falsely believing that they can experience the euphoric effects of the drug without risks. However, even taking small amounts of methamphetamine can result in negative consequences, including cardiovascular complications, lapse in judgment and mood disorders. Higher doses of methamphetamine can induce psychological effects, including paranoia, delusions, anxiety, insomnia and psychosis. Perhaps the most terrifying result of meth abuse is the unexpected and sudden risk of death, which can occur without any sign or warning. While overdose may induce warning signs with other drugs, individuals who abuse methamphetamine may suffer a fatal heart attack or stroke at any time and with little indication. In the short-term, methamphetamines may be appealing, especially on a collegiate campus where peer pressures are heightened and students seek ways to fit in with various social circles. Whether used in attempt to increase stimulation for high academic demands or taken with friends on a club scene, the risks of methamphetamine use far outweigh the temporary pleasures that may be sought with drug use. 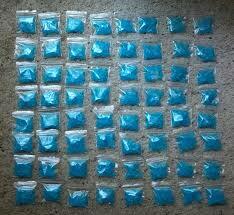 The use of methamphetamine, in any form, is not something that should be taken lightly. If you suspect that a college student you care about is abusing methamphetamine, take the time to approach this person out of love and concern. Similarly, if you are a college student who has found yourself addicted to this drug, know that there is help and hope for your future. Professional help is needed to overcome this powerful drug addiction. You can take the step towards recovering your life, health, and freedom by reaching out to someone you trust and asking for the help you need.